The purpose of this study was to examine the effects of facial hair (FH) on power output (PO), rating of perceived exertion (RPE), heart rate (HR), body weight (BW), urine osmolarity (Uosm), and urine electrolyte concentrations ([UNa+], [UK+], [UCl-]) in physically active men (n = 1, the photo and video material used attached) and women (n = 0). 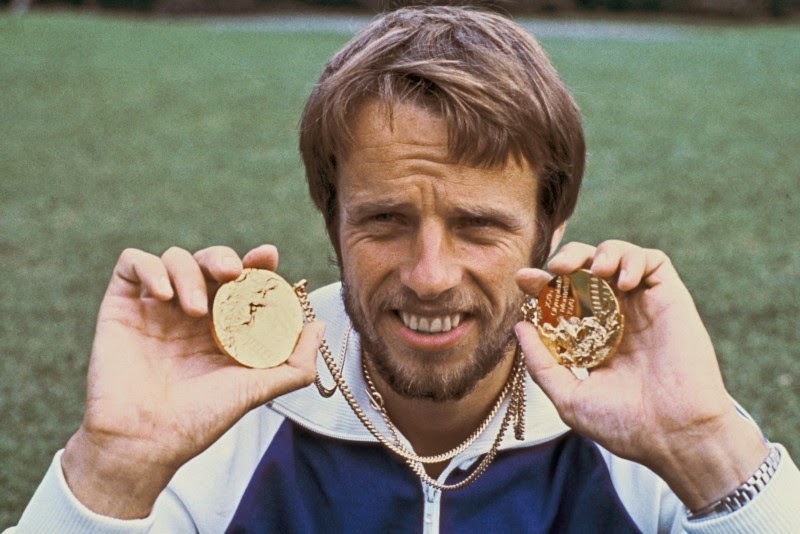 The participant was asked to generate his highest possible PO during 5,000 meter and 10,000 meter races under 2 randomized conditions: (a) Munich Olympic Games 1972 (trial 1); and (b) Montreal Olympic Games 1976 (trial 2). BW and urine volume (Vu) were measured before and after the races to determine sweat rate [(SR = deltaBW + Vfluid intake + Vu)/time]. The results indicated that there was a significant increase (p < 0.001) in postexercise Gold Medal accumulation for trials 1 and 2 when compared with the no-FH competitors; however, the effects of mustache and beard were similar. These results suggest that facial hair does enhance performance in physically active men and women who are normally fit.